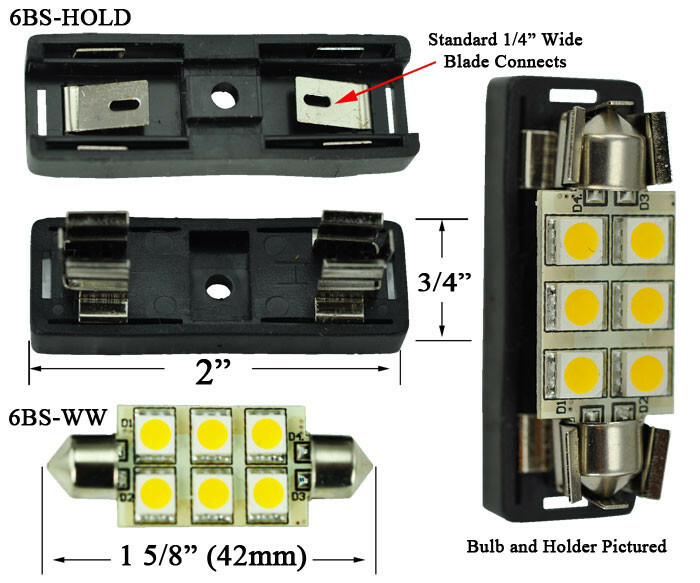 The term SMD refers to an advanced LED module which does not have the typical glass bubble that we have become familar with. SMD is an updated technology. 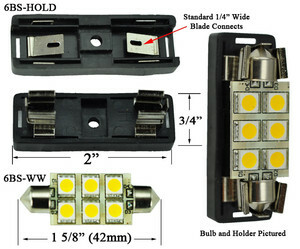 This 42 mm festoon SMD LED bulb is "warm white" (not glary blue/white light) yielding 84 lumens. Above the standard 18 watt incandescent. 6BS-HOLD Festoon Bulb "Holder" or "Socket"
Use in glove compartments, overheads, trunks, cabins...and great for boats.